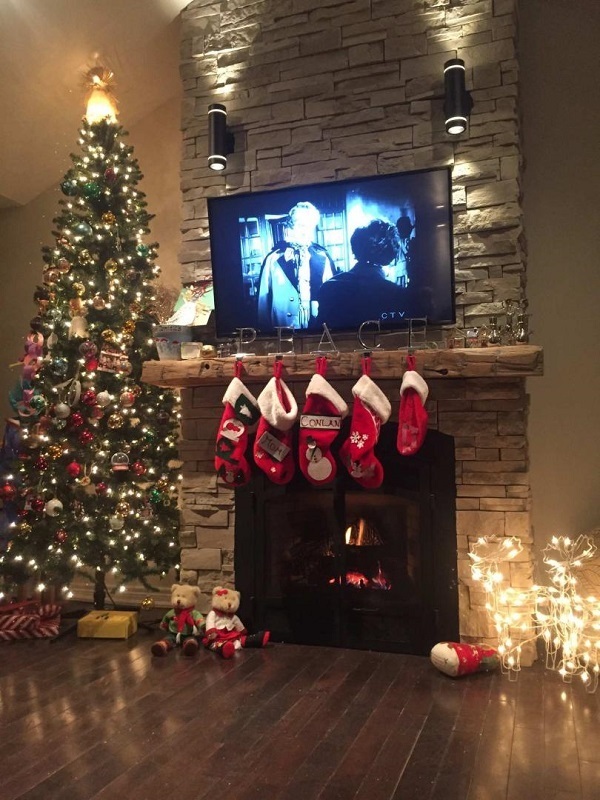 The above image shows the dry stack stone veneer on the fireplace decorated for Christmas. 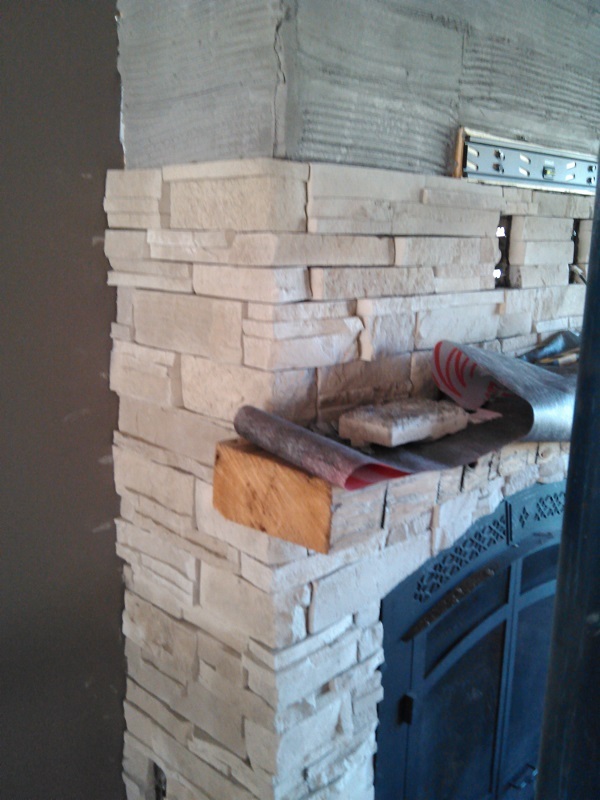 In this blog we will discuss a project featuring a manufactured stone veneer fireplace. This fireplace was completed using a dry stack look on a living room fireplace. The clients were looking for a traditional stone fireplace with a more modern feel. This is where a dry stack look really works. The stone used in this case is Dutch Quality Arizona Dry Stack. This stone was purchased from Brampton Brick in Hillsdale, Ontario. The homeowners were very happy with the finished product which also featured a large TV mounted above a rustic barn beam. The beam was purchased locally from a company who takes down old barns and re purposes the material. The beam did have a finish on it which was put on prior to installation. The beam was installed prior to the application of the stone veneer, however there are no stains or marks on the beam from any masonry material. Even though masonry work is messy, the Cultured Stoners take great pride in protecting the work area from any potential stains by thoroughly covering all floors with drop sheets as well as plywood. We also make sure to protect beams from potential stains by wrapping them prior to working with the stone. Close up of side of fireplace showing the rustic beam. Image showing steps taken to protect work area. Notice the plywood covering the hardwood floor and sheet protecting the beam. 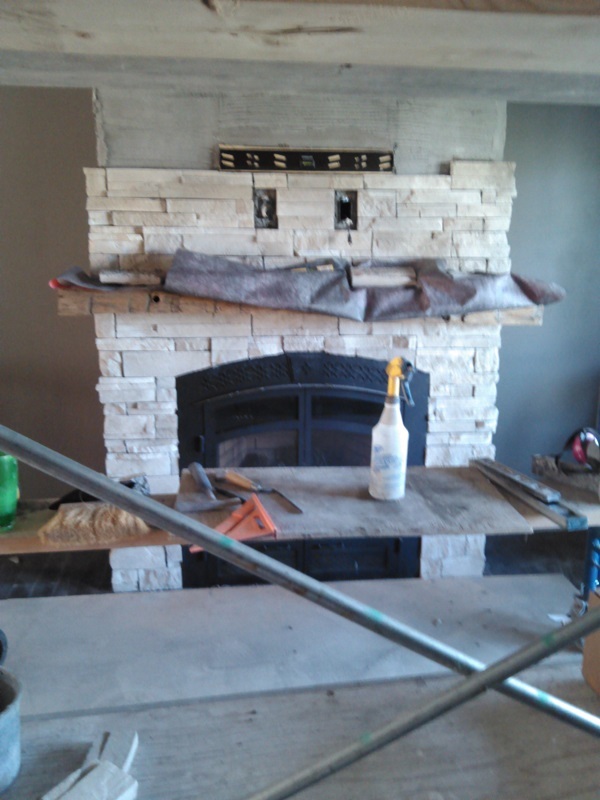 Image showing the completed fireplace prior to mounting of TV and installation of accent lighting. 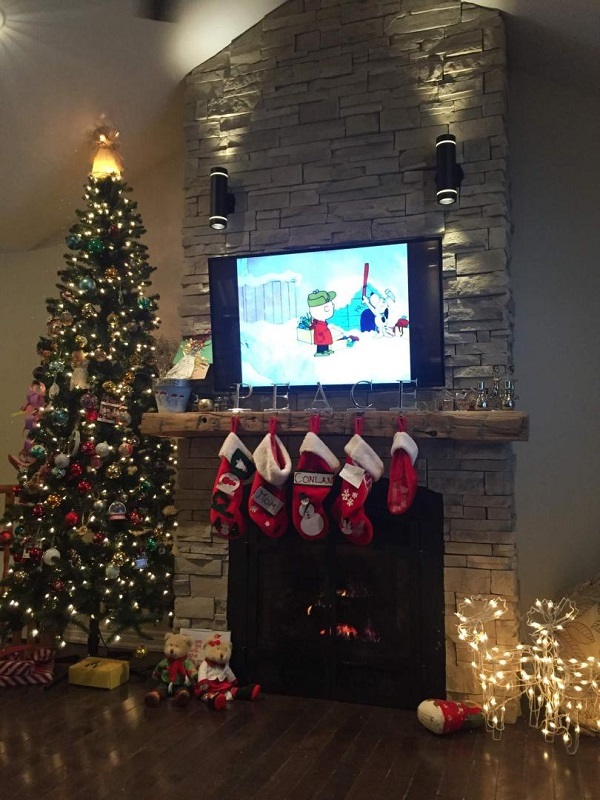 Completed fireplace featuring a mounted TV and accent lights decorated for the Christmas season.